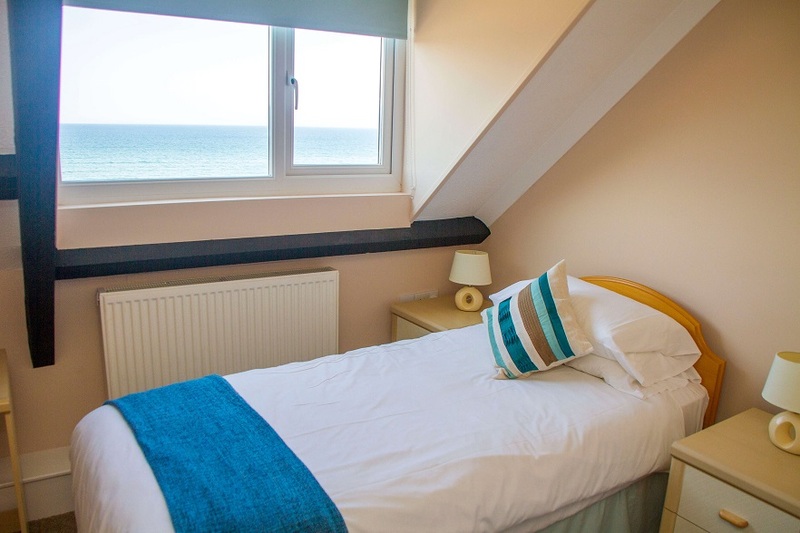 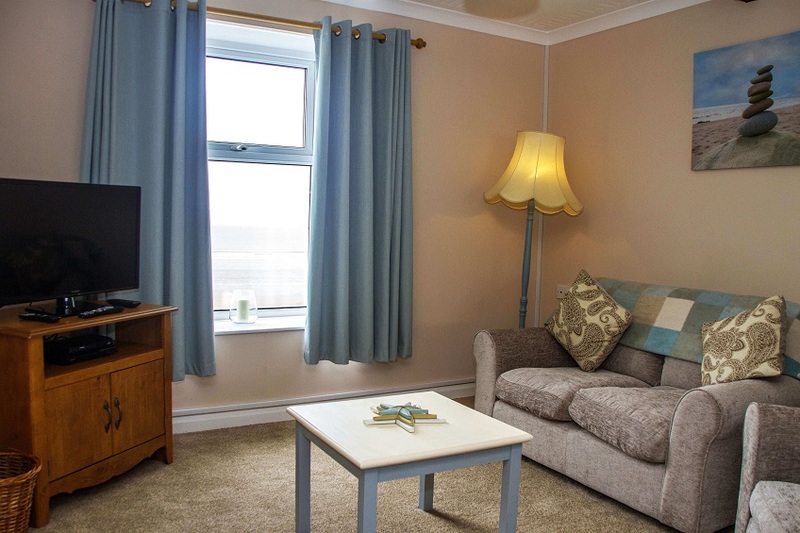 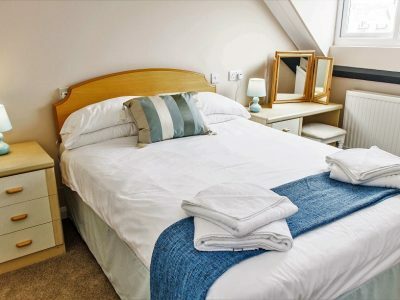 Seaview apartment 4 is situated above the local shop and post office – also owned and run by us. 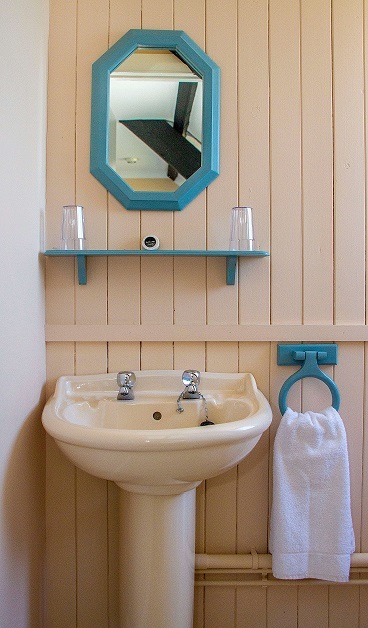 Entrance to the apartment is via an external wooden staircase. 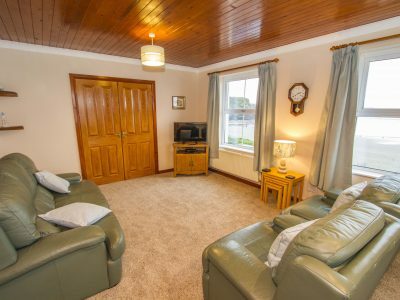 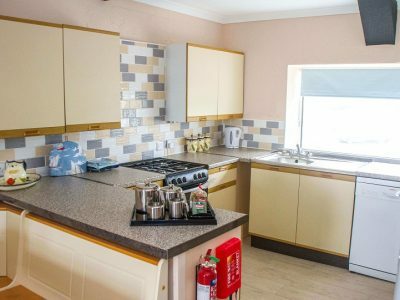 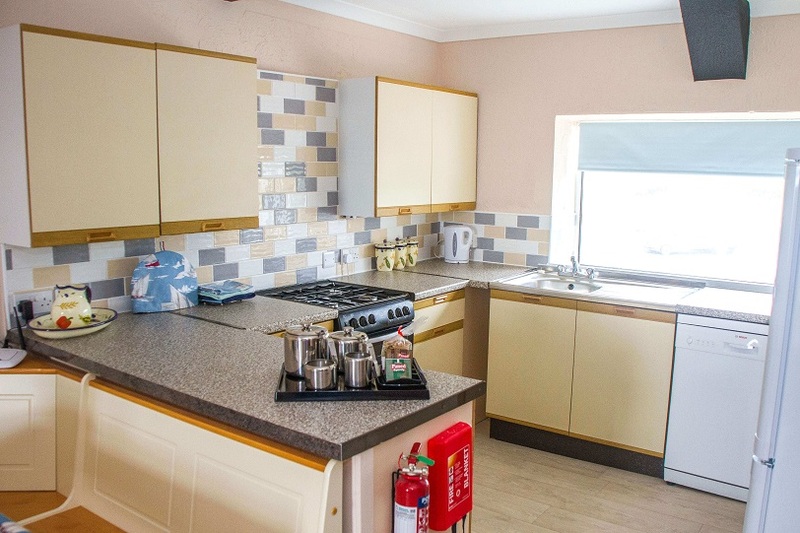 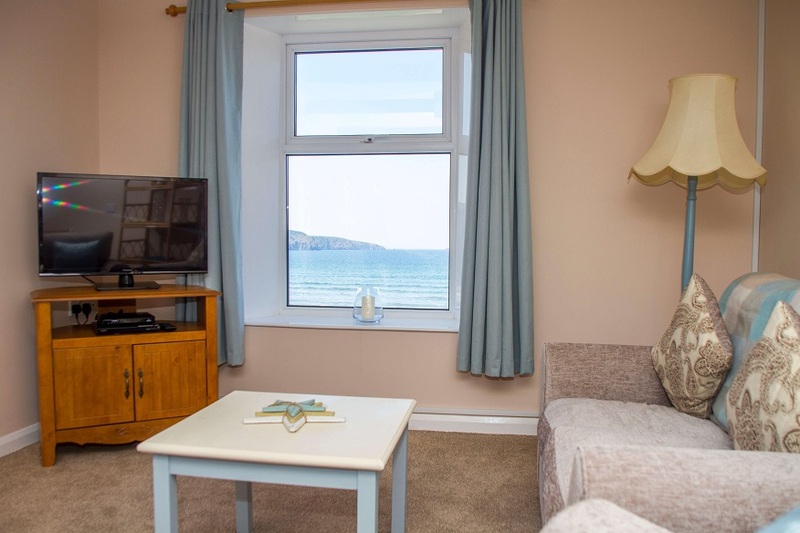 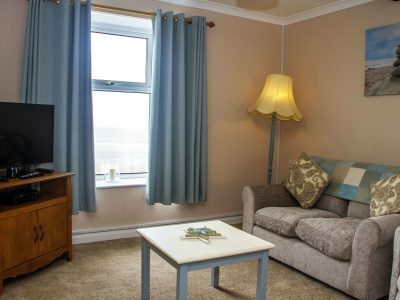 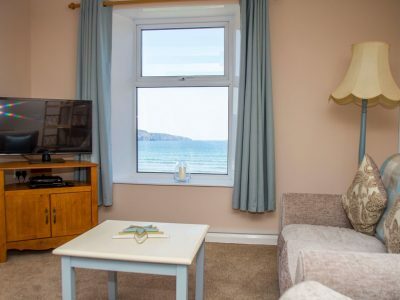 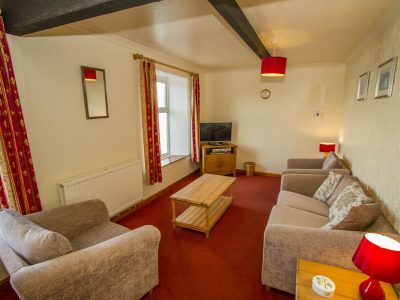 The first floor consists of a through lounge kitchen diner with a magnificent sea view, well fitted kitchen, which boasts fridge freezer, dishwasher and microwave and bathroom with a WC, bath with shower over and wash hand basin. 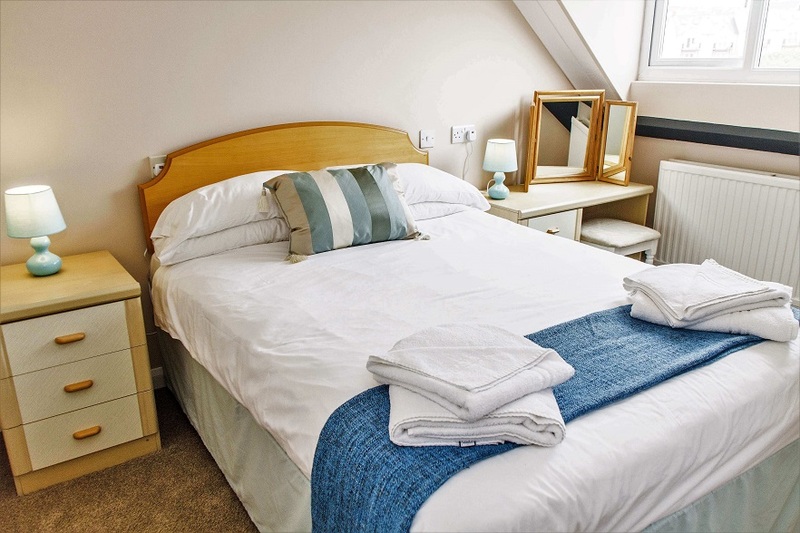 An internal staircase leads to the second floor of the apartment which has a double bedroom with an en-suite bathroom with shower over the bath, WC and wash hand basin. 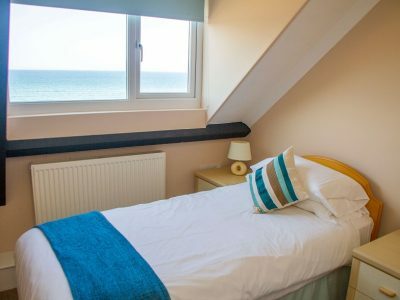 The second bedroom is a twin and has a sea view. 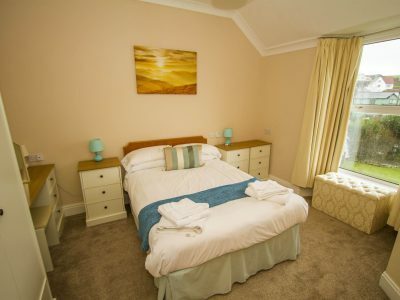 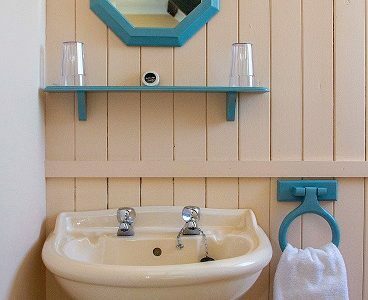 This twin room has an en-suite WC and wash hand basin.